The much-awaited OnePlus 6T is scheduled for launch later in October and we’ve already learned a few key details about the device such as the lack of a 3.5mm headphone jack and the inclusion of an in-display fingerprint sensor. However, we have now learned that OnePlus 6T will be up for pre-booking on Amazon India from midnight today. 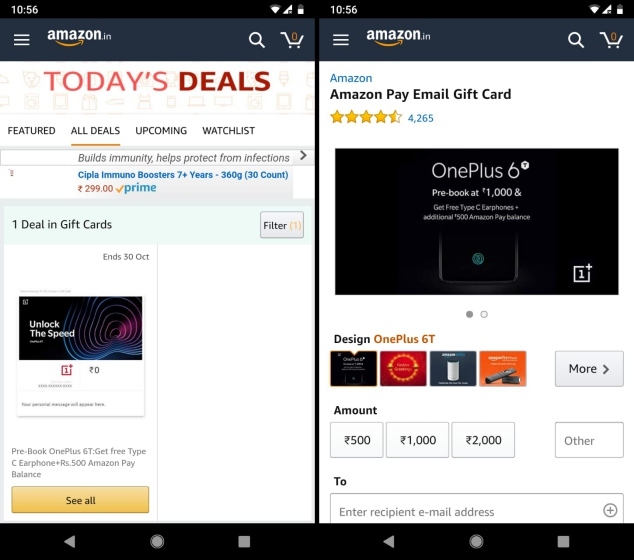 An official listing for OnePlus 6T pre-booking gift card was spotted on the Amazon India app, under the “today’s deals” section. We also saw the pre-booking deal of the platform this morning and can confirm that OnePlus will open up the pre-booking today at midnight. The listing is no longer live on Amazon India. As you can see in the screenshots attached above, the pre-booking will allegedly end on October 30 and it suggests that the OnePlus 6T could go on sale in early November. You will, however, have to shell out Rs 1,000 to pre-book the device so that it arrives in your hand on launch day. 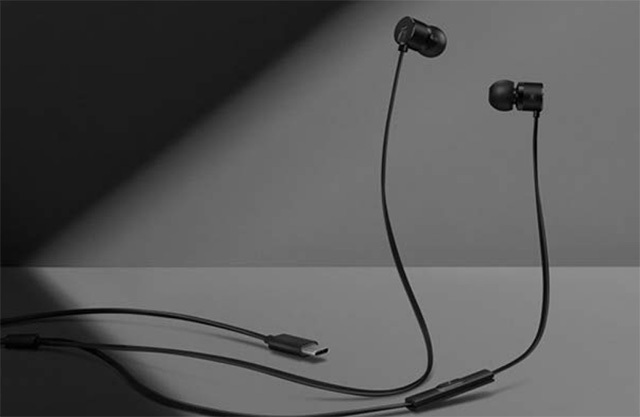 The listing also sheds light on an attractive pre-booking offer, where the company will be offering its recently launched USB Type-C Bullets earphones for free, along with Rs 500 Amazon Pay balance along with the device. This is a great deal because you’ll be spending just Rs 500 for the Type-C earphones, which will retail for Rs 1,490. As for the OnePlus 6T, we are still not aware of the exact launch date for the device, but the company has been teasing a huge announcement for today. So, there’s a possibility that we may get a confirmation for the rumored October 17 launch date. The device has already leaked on numerous occasions, in the form of CAD renders and case listings, and is expected to feature a design almost similar to its predecessor. The OnePlus 6T will sport the trendy ‘waterdrop’ notch, be powered by the Snapdragon 845 chipset – just like its predecessor, and run Android 9 Pie-based OxygenOS 9 out-of-the-box. There’s no mention of an India launch for the OnePlus 6T yet, so stay tuned for further updates. Are you excited for the OnePlus 6T launch? Tell us in the comments below.